Chances are you know and love the uber chic accessories brand MZ Wallace. The New York City-based company, founded by Monica Zwirner and Lucy Wallace Eustice, known for its fierce and functional nylon quilted bags can be spotted on the arms of well-dressed women (and men) near and far. 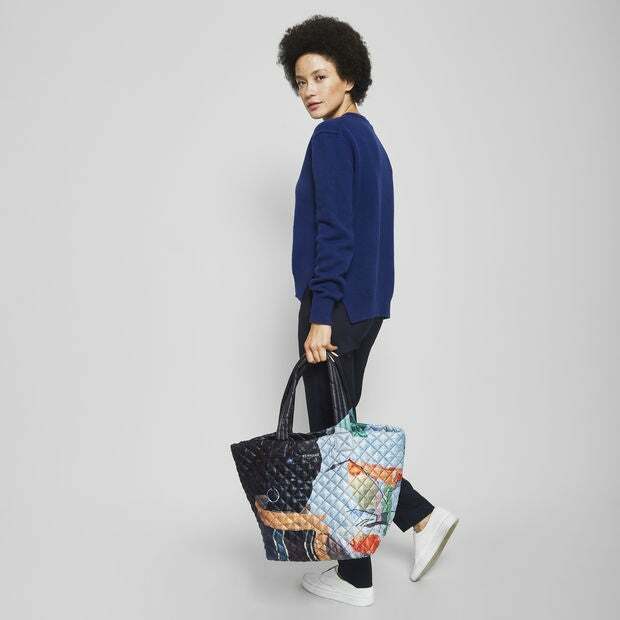 And just when we thought our love for MZ Wallace couldn’t get any deeper the brand has collaborated on a limited-edition bag with renowned contemporary artist Kerry James Marshall. Marshall’s masterful paintings, which explore the African-American experience, are heralded as masterpieces by the art world and admired by anyone who lays eyes on them. And while purchasing a Marshall painting would cost you a small fortune, MZ Wallace is making it a lot easier (and more affordable) to get your hands on one of his works of art. 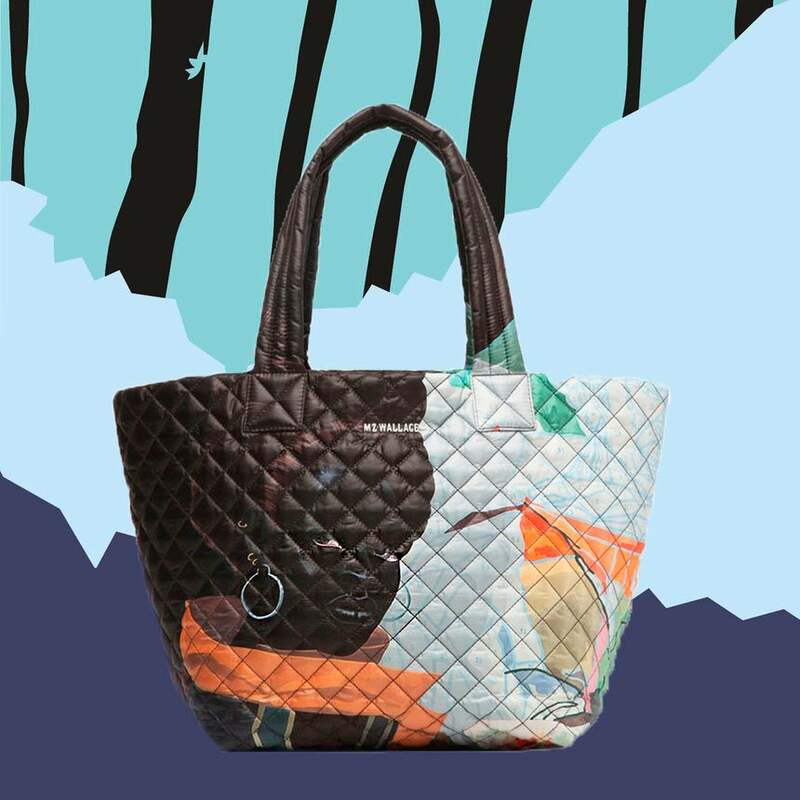 Marshall’s painting Untitled (Painter) has been transferred to one of MZ Wallace’s quilted nylon Metro totes ($225) for the exciting partnership in celebration of the Museum of Contemporary Art Chicago and its 50th anniversary. Moreover, and 100% of the proceeds fro the sale of the stunning tote will be go to the funding of educational programs at the museum. “Kerry said in a New York Times article last year, ‘I don’t believe in hope, I believe in action. If I’m an apostle of anything: There are always going to be complications, but to a large degree, everything is in your hands.’ Those words are both significant and prophetic. Kerry lent the image of his painting to help raise funds with us for the educational programs at the MCA Chicago; change will come from educated kids questioning the status quo,” Zwirner told ESSENCE. This isn’t the first time MZ Wallace has stepped into philanthropy. In fact, after collaborations in the past two years with artist Glenn Ligon to benefit the Studio Museum in Harlem and artist Raymond Pettibon to benefit the New York Public Library’s special collections, prvoing the brand’s altruistic efforts are now just has dope as their bags.